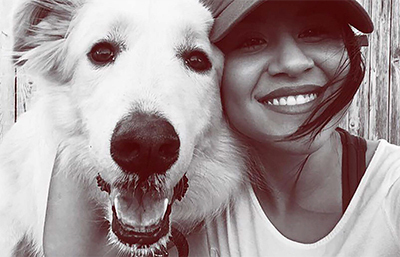 Texas native Natalie Delgadillo got involved in recovery’s continuum of care as a teenager. Ten years later, she remains in active recovery and is realizing her academic and life dreams. 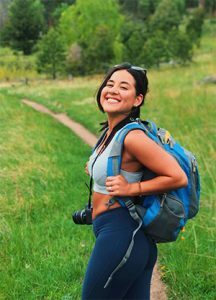 When Natalie Delgadillo was 15 years old, she had no idea that her recovery journey would become a model for the entire continuum of care. All she was thinking about was how to convince her mother and the outpatient rehabilitation staff that she was fine; she didn’t need to be in recovery. She just wanted life to be back to normal — her “normal” of daily marijuana use, before and after school. Still, she didn’t think she needed treatment. 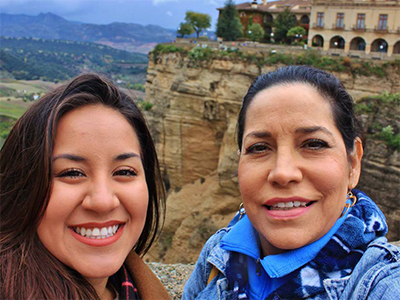 Delgadillo’s mother, who had been raising her two children on a single income since her husband died when Delgadillo was young, thought differently and entered her into a 30-day outpatient program. 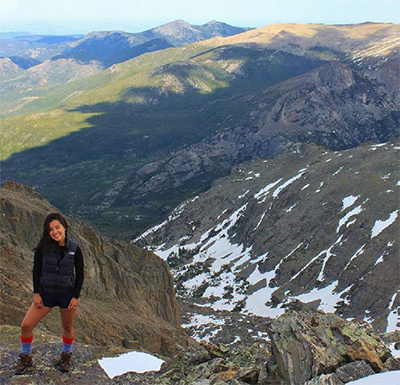 Natalie Delgadillo at Hallet Peak in Rocky Mountain National Park. Ten sober years later, Delgadillo, now 25, is grateful to her mother and the recovery community she has found. 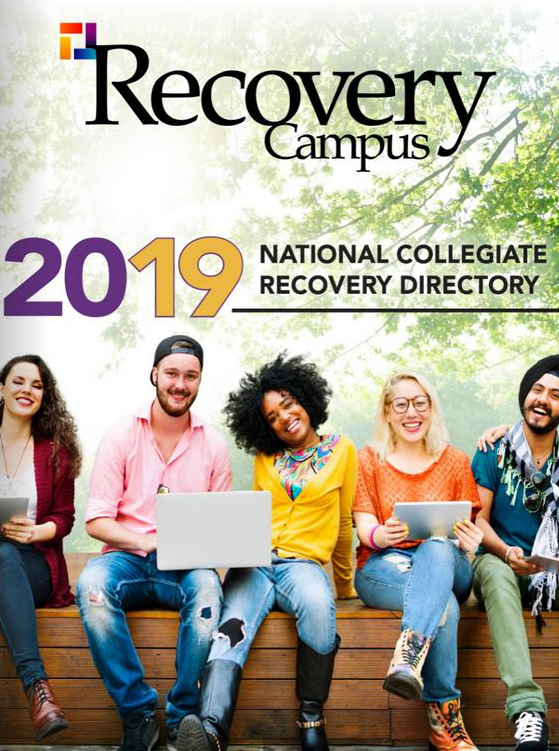 She, along with several others who have been a part of her recovery team, recently spoke at the National Collegiate Recovery Conference as part of a panel discussion about the continuum of care. “I got sober when I was 15,” Delgadillo says. “I didn’t plan on it. I didn’t think I would be sober this long.” But her participation in each step of the continuum of care has led her to where she is today — active in her recovery, a senior at the University of Houston and looking forward to a career in sales. She acknowledges that she is in control of her life and her decisions, something she would not have said 10 years ago. Rebecca Whitson, a therapist at the Houston-based Center for Success and Independence, met Delgadillo when she was 15 years old and has been part of her recovery support ever since. 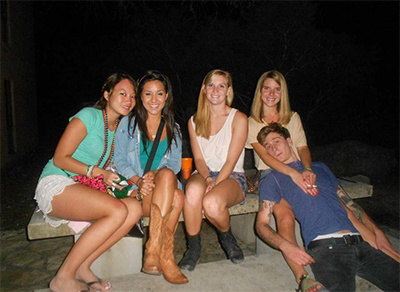 Delgadillo at a high school sober conference. She attended Three Oaks Academy, a recovery high school in Houston. Next, she attended Three Oaks Academy, a recovery high school where she met Parker Cragg, who was the school’s director at the time. He chuckles, too, when he thinks about meeting Delgadillo. It’s clear that her positive energy, sparkling eyes and broad smile are compelling — even among people leading her. While speaking on the conference panel, Cragg shares that he had only six months of sobriety himself when he and Delgadillo met. She had been sober for more than three years. He admits he had to look at things outside of recovery in order to know how to be supportive of her growth as a student and young person and to also establish the proper boundaries. 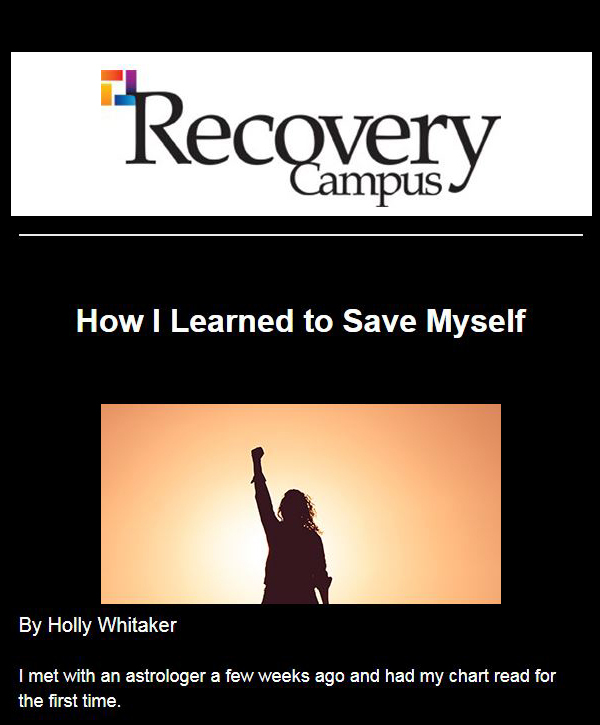 As part of the faculty of a recovery high school, he points out that staff help students not just in the recovery sphere, but they also ask how they can help equip young people for life. Three Oaks presented some stark differences from the public and private schools Delgadillo had already attended. In a phone conversation after her panel talk, she mentions how meetings were integrated into the school, as were the expectations of accountability and integrity. Delgadillo hiking with fellow Cougars in Recovery members. “You work with teachers on a more personal level,” she says of the teacher-student relationship at her recovery high school. “They share with you about their experiences. I feel like it’s different than at a public school because the teachers feel like they have to hide their personal lives. This community knew what we had been through. They didn’t have to shelter us. They would just tell us like it is. Delgadillo admits there were times when she tried to get away with stuff, not so much with lapsing in her recovery but in being present and thinking about her future. “I had to figure out how to apply myself even more for what was coming next,” she says in response to some friends calling her out and asking what she was going to do after high school. “I realized that if I tried to cheat the system, then I was cheating myself. I quit taking things for granted, tried to be more active, make more service commitments, just be more accountable. The truth is that I knew those people loved me and had my best interests at heart. 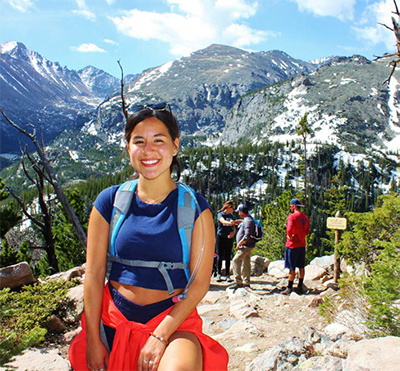 Having embraced her recovery and gotten serious about her next steps, largely as a result of the support she received through the APG and her recovery high school, Delgadillo worked hard to earn acceptance into a financial planning program at Texas Tech. She returned to Houston, remained active in her recovery and eventually enrolled in the University of Houston (UH). She had met John Shiflet, who was launching Cougars in Recovery (CIR) at UH, while they were both students at Texas Tech. He had been finishing up his undergraduate work when they met. Delgadillo and fellow Cougars in Recovery members. In talking with Delgadillo, it’s clear how hard it is for her to find the words that do justice to the role she believes CIR has played for her. Shiflet adds that her movement along the continuum is significant because she “has been able to maintain her recovery and academics through the entire process. Also, she is living proof the continuum of care she experienced worked for her, and if more cities implemented these resources in their communities, they, too, might have success stories like Natalie. 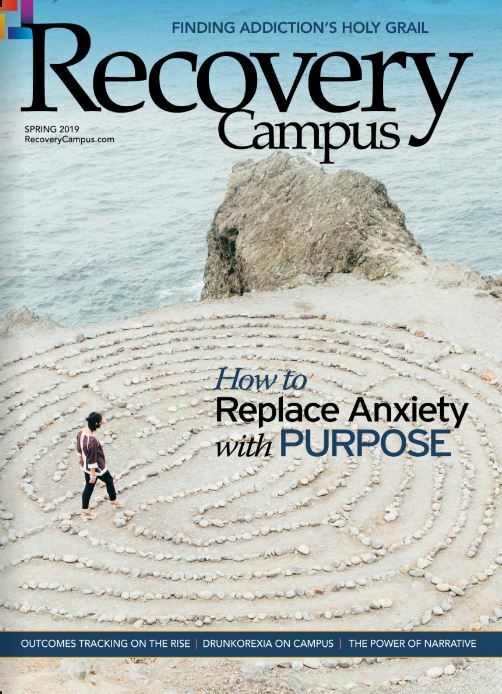 “The role the collegiate recovery programs play in the continuum of care is [to invite] the student to come onto a campus with a built-in support system of other young people who have already experienced what they are about to, and they can share their experience, strength and hope with those students to help them stay focused and motivated to progress,” Shiflet continues. Delgadillo admits that one of the ways she takes care of herself these days is by relying on her support network, the CIR at school. She relies on her family now. Plus, “I trust that I can even rely on myself.” She’s learned that if something doesn’t work out, she doesn’t need to beat herself up over it.